This past Sunday, April 1, on CBS Sunday Morning News veteran CBS correspondent Martha Teichner produced a 10 minute segment entitled "A Shot in the Arm," which featured interviews with a vaccine researcher from University of Tennessee, a World Health Organization official, the author of a new book that contains attacks on modern day vaccine safety critics, a mother and father of an MMR vaccine injured autistic boy seeking vaccine injury compensation, and me. 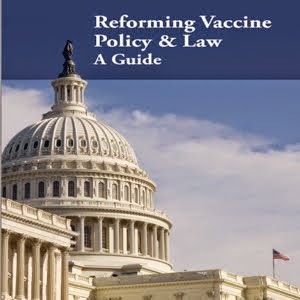 Martha Teichner, who has won four Emmy Awards and other journalism awards during her distinguished 30 year career at CBS, and her producer, Jason Sacca, took great care to examine all sides of the vaccine benefit and risk controversy and place it in an historic context. Although some may feel that there was too little time devoted to extolling the benefits of vaccines, others were left wanting more to be said about the risks of vaccines. Shortly after the segment aired at 9 a.m. EST, the CBS message boards began to receive comments from parents expressing strong opinions. One viewer wrote " The truth is autism is a genetic defect and parents cannot accept that they themselves are the cause of their child's autism...so much easier to blame everyone else...when you decide to create a child your defective genes are to blame and no one else." Another viewer complained "We are disappointed that CBS implicitly legitimized the claims that vaccines are associated with autism. Although there are some known, proven risks to vaccines, autism is not among these risks. Several recent studies have shown that children who receive vaccines are at no higher risk for developing autism than those that do not." But then there were viewers who saw it another way. One parent wrote " We have two kids in our extended family (one on my side and one on husband's side) that became severely autistic within days after their vaccinations. Both were healthy up to the day of vaccination. Both are boys. Should I be weighing out pro's and con's of having my child vaccinated? Should I be bullied by the doctors ? Should I play Russian Roulettte with my child's life? I think not! I don't need science, literature, statistics, an article, medical journal, the government, a doctor or anyone else to tell me what I can see with my own two eyes ! As a medical professional myself, I think every parent should spend a day with an autistic child (God knows they are not hard to find these days) before they consider a vaccination for their own child." And another parent wrote " It is all very well for some in an ivory tower living on a grant from drug pharma to blather on and on, but real Americans have to deal with a Merck vaccine that deafens children. How does that intellectual advise explaining to a 7 year-old why he is suddenly totally and irreversibly deaf as a result of state required, Merck-pushed MMR vaccine? How does one communicate practically within several weeks from regular voice to absolutely nothing? The segment was even viewed differently by those who were interviewed for the story. I thanked Martha Teichner and her producer for treating everyone featured on the segment with respect and producing an intelligent and thoughtful analysis of a multi-faceted debate. 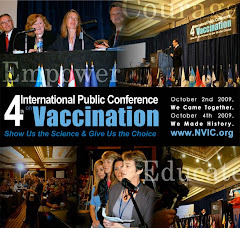 However, the author whose book attacking vaccine critics was featured prominently in the segment was unhappy with the fact they "presented the claims of the parents of the autistic boy and of Barbara Loe Fisher without giving anyone a chance to rebut them." On his blog he states that he wrote a letter to CBS complaining that "neither I nor any of the doctors or scientists were given a chance to refute the autism theory. You say that the "medical establishment" doesn't believe it, but that's a distortion. It is the SCIENCE that doesn't support the theory. I realize you probably didn't have time to do the research to understand this yourselves, but you should have allowed a scientist, or me, to say it." Those, whose mission in life is to act as a kind of vaccine thought patrol, cannot stand it when a journalist honestly examines the benefits and risks of vaccines and does not tell the reader or viewer what to think and what to do. These bully boys prefer to have vaccine casualties kept in a dark closet away from the eyes of the public, where they don't make people confront difficult scientific, political, economic and moral issues. CBS Sunday Morning News will be taking comments on this story for the next 48 hours. For those who would like to go on the record about what you think, go to http://www.cbsnews.com/stories/2007/04/01/sunday/main2635032.shtml and post your comments. Hi Barbara ~ I know you are busy...but I must share my story with you quickly. I live in Texas and on April 9th, 2007 I gave birth to our 5th child. She is beautiful and healthy. We refused the Hep B and Vit. K shots and had our own Vaccine Refusal paper ready to sign, but the hospital insisted that we sign theirs to relieve the hospital of liability. We crossed out the part that did not please us and stated that we felt it was putting our child in danger to have the vaccine...they told us that it did not matter what we crossed out...that it still stood as is! I thought American was a free country? Not when it comes to vaccines. The nurses and on call pediatricial treated us so rudly for the rest of our stay! They acted as if we were unfit parents and that we we willfully putting our child at risk! They said that they only had about one family per year refuse vaccines! This saddend me to think that most people either have no clue about vaccines or just get bullied into it! Keep up the good work...and don't feel all alone...there are others of us who care and feel the same way you do! p.s. ~ Praise the Lord that your sweet son is safe! We are praying for those who lost loved ones!